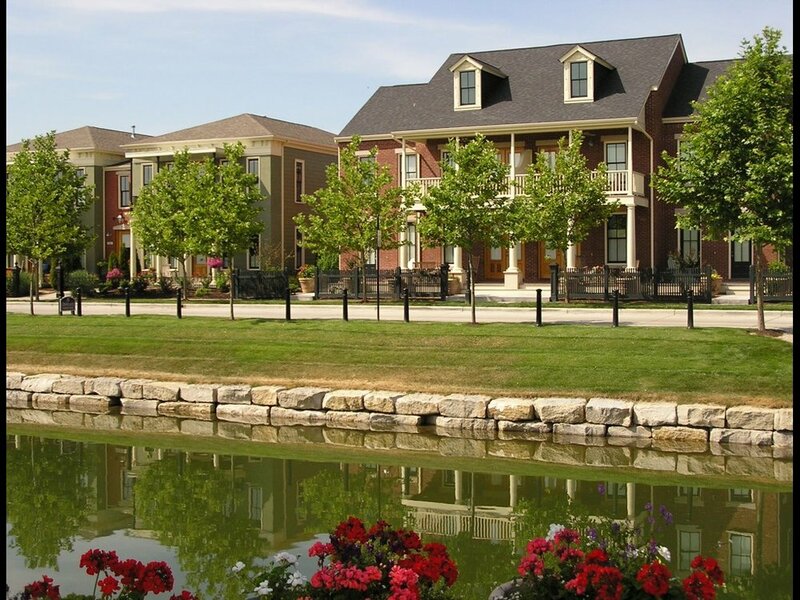 New Town Apartments combine the history of St. Charles and the gracious living of New Town to create a community unlike any other. Each model is designed to appear as a stately, subdivided single-family home with functional, spacious interiors and personal exterior spaces. These townhome mansions overlook the entrance canal along North and South New Town Avenue, providing incredible waterfront views. Chef-inspired kitchens, hardwood floors, beautiful courtyards and garden views with furnished patios and balconies create a unique temporary housing environment. New Town is a young community reflecting an older, friendly, traditional neighborhood. A picturesque lake is less than a five-minute walk and tree-shaded streets encourage walking and biking. During the summer, experience free movies and music at the lakeside amphitheater, and during the winter there is hockey on the canals. With a vast assortment of local businesses and a farmer’s market, New Town is the ideal place to call home, even if just for a while. New Town is located close to HWY 370 in historic St. Charles, just outside St. Louis and minutes to Clayton, Earth City and Westport. The new urbanist themed development of New Town features local businesses, such as Roux Royal Bistro, The Bridge Coffee Shop, Marsala’s Market, Second Hand Rose, Domain Street Wine Bar and Zephyr Hair.